Pay 1000 Life Points. Declare a Type and an Attribute. 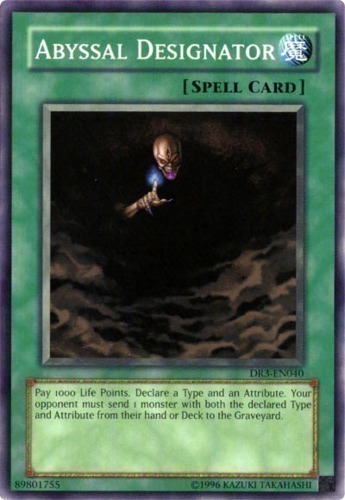 Your opponent must send 1 monster with both the declared Type and Attribute from their hand or Deck to the Graveyard.